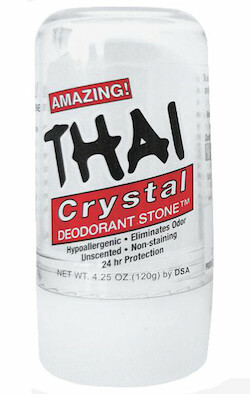 Deodorant Stones of America - Thai Crystal Deodorant Stone Stick 4.25 oz. Deodorant Stones of America Thai Crystal Stone Stick 4.25 oz. Deodorant stone milled to perfection. Our special diamond core cutter now permits us to shape our stone into a convenient and conventional deodorant stick. Lasts over 1 year.